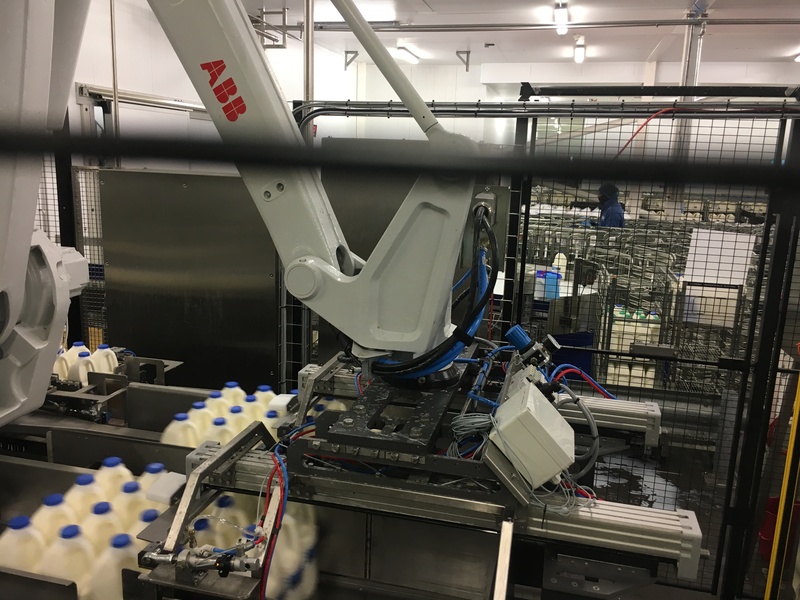 Bedfordshire-based Mechelec Automation has recently developed a revolutionary trolley collation and packing system for the dairy industry. The TP1002 Trolley Packer is designed to provide fully automated, cost-effective trolley loading, at faster operating speeds than current systems. 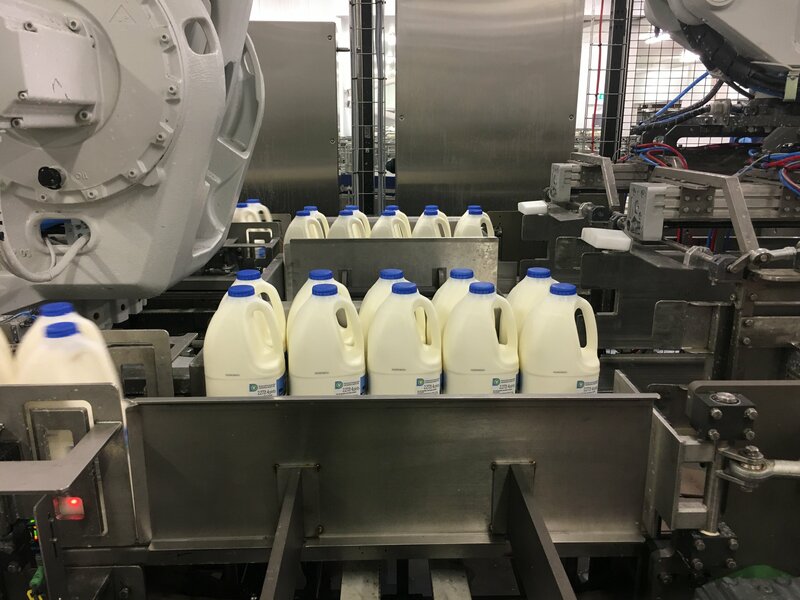 Mechelec Automation turned to linear motion expert HepcoMotion to supply the slides required to provide the movement of the milk bottles within the trolley packaging machine. This is one of the key reasons why HepcoMotion was specified for this application. When a Hepco V guide system shows sign of wear, the eccentric adjustment facility of the V bearings can be used to quickly and simply remove any play that has occurred. When the V bearings reach the end of their life, they can be replaced individually, and not as an entire set, saving both time and money. This was particularly relevant in this highly demanding environment, where 4 pint bottles (in a 4 x 5 format) are loaded at speeds of 1m/s with a throughput of 240bpm (bottles per minute). The TP1002 trolley packer has been developed specifically to meet the demands of today’s production environments. 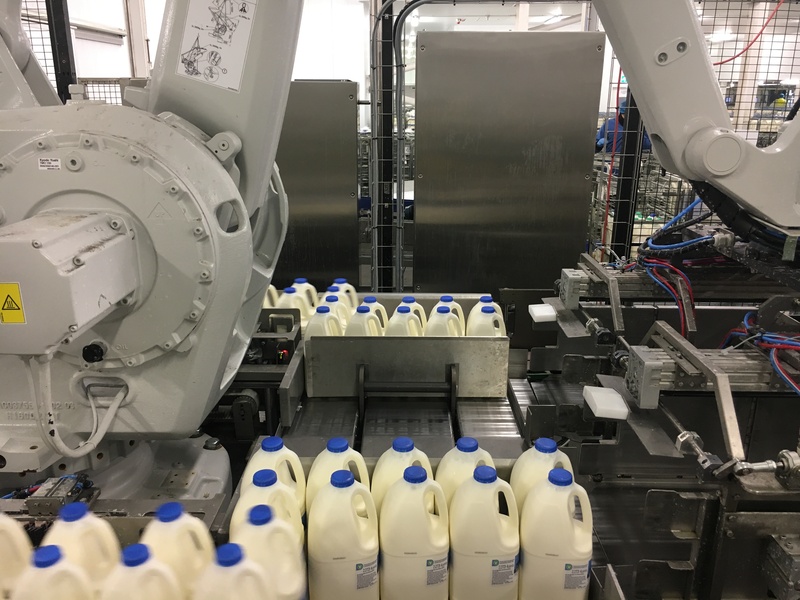 The system uses a robotic arm to quickly and efficiently load two static trolleys simultaneously, offering double the packing speed of conventional systems from a comparable footprint. The TP1002 Trolley Packer also offers the potential flexibility to allow the packing or palletising of shrink-wrapped product. 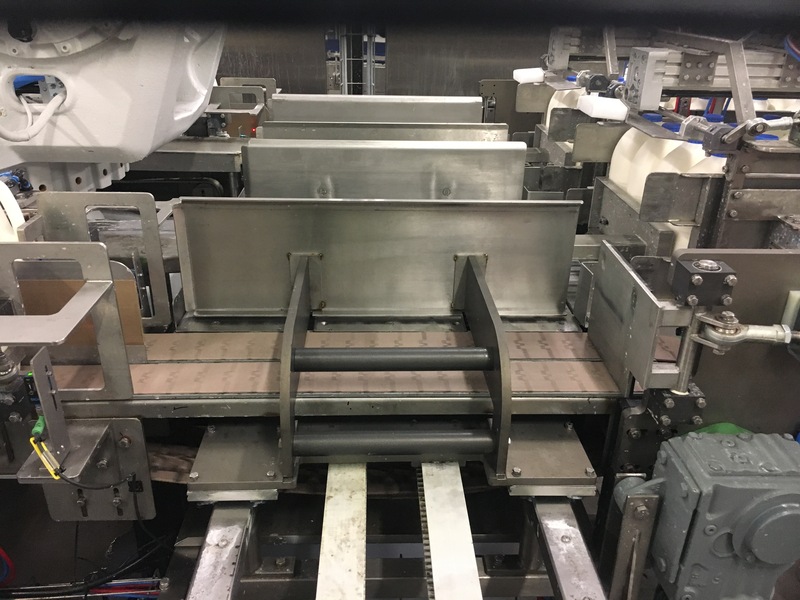 Hepco’s SL2 stainless steel linear guide is used on two axes in this machine; in the collation of the bottles into the ‘shelf’ format required (two shelves are being collated at one time), and to push the collated bottles into the head on the robot. With loads of 20kg on collation and 40kg when pushing into the robot head, Hepco’s SL2 system is eminently able to accommodate with a load capacity of up to 1000kg. As with most food packaging applications, each component of the TP1002 must be able to offer high resistance to corrosion in order to withstand the washdown regime. Specifying components that provide a long service life and a high level of corrosive resistance can be a challenge. With a precision ground finish providing corrosion and wear resistance, Hepco’s stainless steel SL2 is particularly suited to food industry machinery, and was a clear choice for this application. As businesses pursue higher throughput and lower overheads, space is increasingly becoming a key factor in the design process and this application is no exception. Although the design needed to be compact to ensure minimal floor space was required, the system still had to be capable of providing the loads and speeds required. 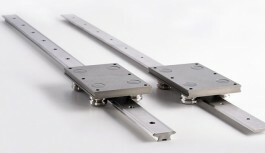 This application specified SL2 slides size 44mm and 76mm width to meet these requirements. SL2 also has miniature solutions, starting from size 12mm width, for when space is at an absolute premium. Hepco products are often specified by designers who need to fit a linear system to a surface with minimal preparatory work. This feature was particularly relevant to the Mechelec application, working with a fabricated structure. The V guide system has a high level of built-in compliance that enables consistent running along the whole length, even when the mounting surfaces are not exactly flat. The quick mounting design provided significant savings for Mechelec in terms of both time and installation costs. A further benefit of the new system has been a significant reduction in labour; the TP1002 has halved the number of operators required from four to two. In addition, the TP1002 loads in half the time of the four operators, enabling a higher product output. A highly successful application, the TP1002 offers a unique system for collating and loading products into shelved trolleys. The specification of Hepco’s SL2 slides has provided a much-needed fit and forget solution, ideally suited to this demanding application, working 24/7.